Great news, for me anyway. My car radio started working again. Good thing for a few reasons. First, I have music again (old car – no iPod plug) and second, I get to tap into my favourite music resource again. Today, we have the Wailin’ Jennys doing a cover of the great one’s (not Gretzky, Neil Young) song “Old Man” off his classic Harvest album. An outstanding cover with superb 3 part harmonies and some great guitaring. I am sure Neil would be proud. The group originated in Winnipeg and has a couple of incarnations over the years. They have performed since 2002 and have 4 albums to their credit. This song is off their 2004 album “40 days”. 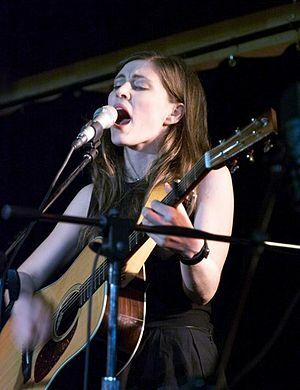 This entry was posted in Canadian Music, Folk, Music, Song Of The Day and tagged Canadian Music, Music, Ruth Moody, wailin jennys, wailin'jennys. Bookmark the permalink. That makes me feel great. You are welcome.